Missing teeth can affect your confidence, as well as your ability to chew and talk. Fortunately, we offer the dental implant procedure to help restore your smile after tooth loss. A dental implant is an artificial tooth root (typically made of titanium) we place in your jaw that’s later covered by a crown. 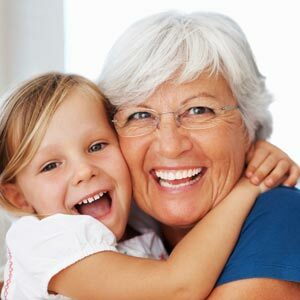 Our dental implant dentist in Grand Rapids, Michigan takes pride in helping patients smile with confidence. Continue reading to learn whether you’re a candidate for dental implants. The ideal candidate for dental implants is a non-smoker, has healthy gums, and has sufficient bone density in their jaw to support an implant. However, don’t feel like you have to be the “perfect candidate” for dental implants to request a consultation with our dentist. There is plenty we can do to find the right solution for your smile. You’ll need to have sufficient bone density in your jaw so we can place the tooth implant. However, our dentist may recommend mini dental implants if you don’t have enough healthy jawbone tissue to support a full-sized tooth implant. While full-sized dental implants are between 3.4 and 5.8 mm wide, mini implants are only 1.8 to 3.0 mm in diameter. A mini dental implant has a ball at the end so your tooth replacement can snap into place. The crown that gives you the look of a natural tooth will have a socket underneath to create a secure attachment with the implant. Mini dental implants can be placed in one appointment. The better you take care of your smile, the longer your dental implants are likely to last. To help your dental implants last for years, you’ll need to brush your teeth twice a day and floss once daily. You’ll also need to see our dental implant dentist at least every 6 months for a teeth cleaning and oral examination. We closely monitor the condition of your dental implants so they last for years to come. Dr. Suk Jun Yun DDS is a dental implant dentist in Grand Rapids, MI. To request an appointment with the NorthPointe Family Dental & Implant Center, call (616) 288-6134.